How did you spend your weekend? As for George Zimmerman, he signed autographs at the New Orlando Gun Show — yet again making clear that, following his acquittal last year for the killing of Florida teen Trayvon Martin, he does not care for your questions of good taste or discretion. 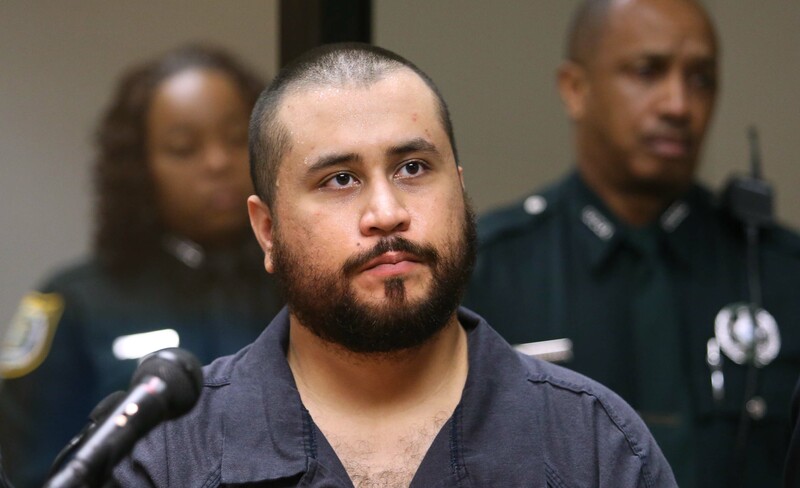 Zimmerman, who's had several brushes with the law, including allegations of violence towards his wife and former girlfriend, said he attended the show to demonstrate his appreciation of his supporters. When a reporter from a local FOX affiliate asked him if he understood why some people would be angered by his presence, he left little doubt: "No, I don't." Go ahead and blame us for not being surprised. Zimmerman's post-trial life has been little more than a kaleidoscope of bad choices, dire allegations, and distasteful money-making schemes, some of which have worked, some of which haven't. His attempt to engineer a celebrity boxing match with rapper DMX, for example, fell through amid public outcry. His cribbing of existing images to produce lame paintings, however, did go ahead — he got over $100,000 for his first, taken from a stock photo. His second, taken from an Associated Press image, earned him a cease-and-desist letter. Zimmerman explained that he couldn't miss the opportunity to greet his fans... which are? Well, the New York Daily News reported less than 20 people saw him in six hours. Still, Fox 35 Orlando reported there were about 200 of them there. "The concept of being able to pay them back for what they did for me," Zimmerman said of the small crowd, "and seeing my supporters face-to-face, was something I just couldn't pass up."